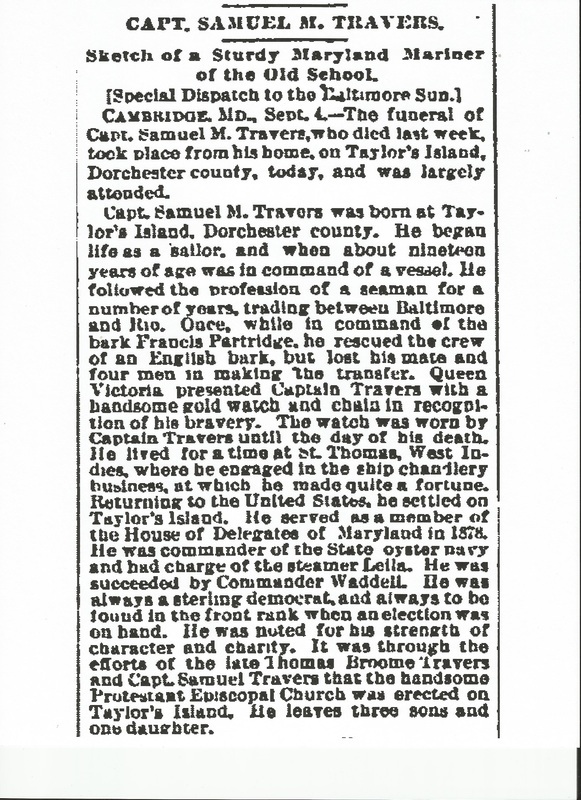 Samuel M Travers was born on Taylors Island on 3 June 1815, the son of John Travers and Rosanna Geoghegan Travers. He died 2 September 1892. He is buried in Grace Cemetery.